Looking for inspiration for your Easter table this year? 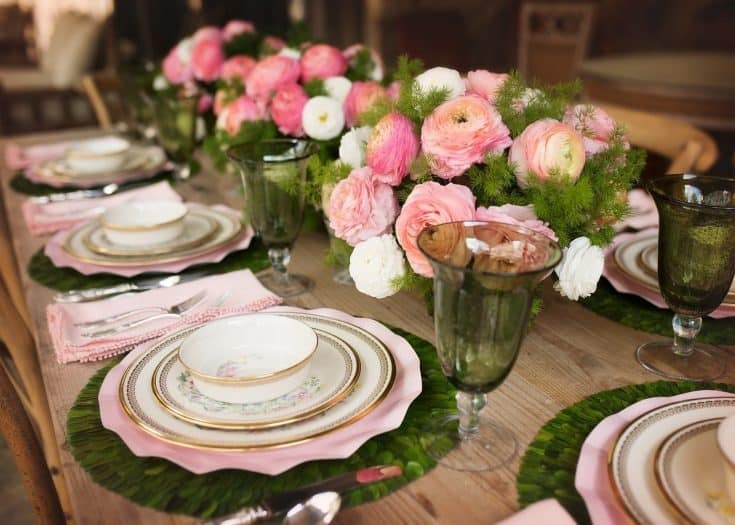 These 5 stunning Easter tablescapes will give you all sorts of ideas for easy and beautiful ways to set your holiday table! Easter is one of my absolute favorite holidays. Not only do I love the spirit behind the celebration, but I also love that it’s at the brink of spring when the sun is finally coming out, flowers are starting to bloom, and pops of color start to emerge in homes. It’s a season that naturally emits hope! 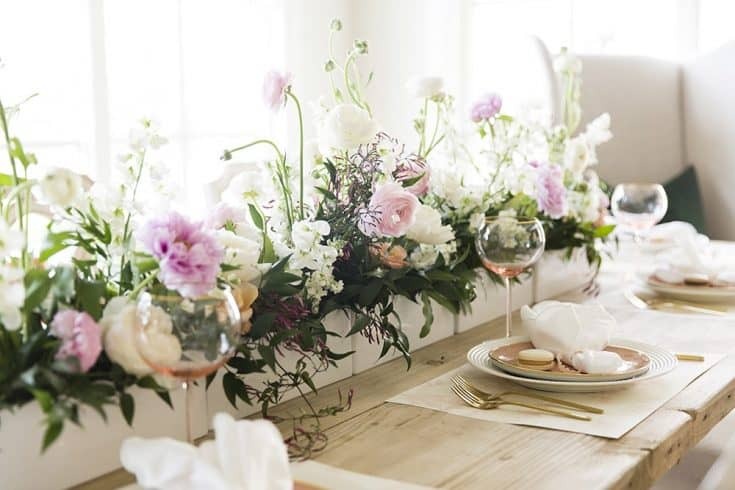 This year, I plan to host at least a few family members for an Easter meal, and so started thinking about my tablescape design and naturally went looking for some inspiration. 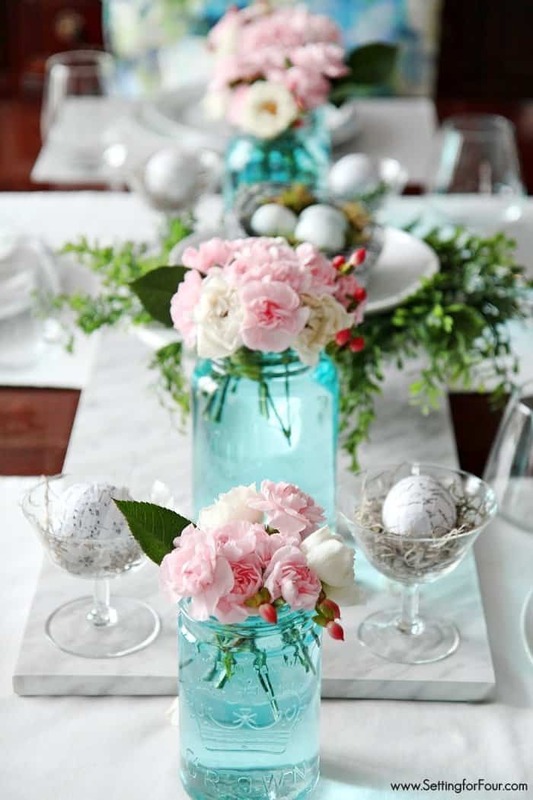 I’m not a huge fan of “themed” tables, like over-the-top bunnies, eggs or grass, but I do love a bit of those elements on my Easter tablescape as long as their done tastefully. 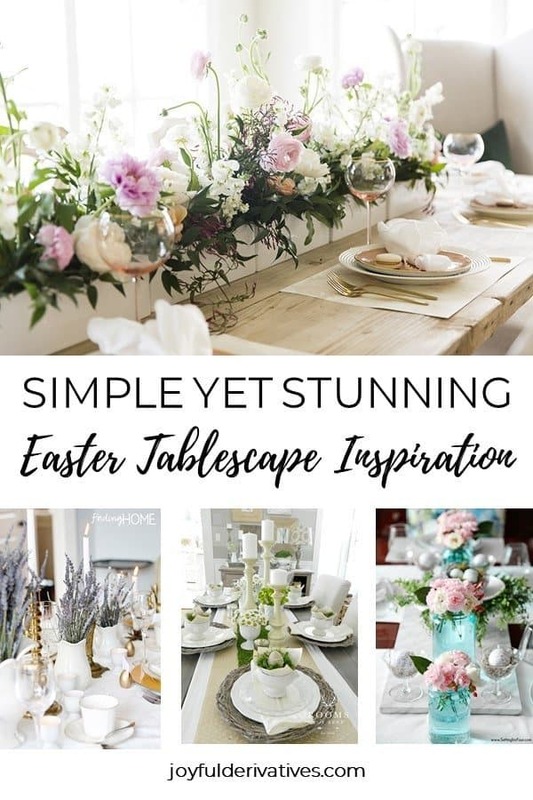 In today’s post, I wanted to share with you 5 of my favorite Easter tablescapes that are simple and yet utterly stunning. You’ll find that each of these do a fantastic job reflecting a welcoming table that will leave your guests lingering well past dessert. 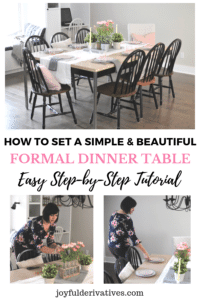 I hope these stunning tables inspire you and help you come up with a fabulous Easter tablescape for your family’s meal! 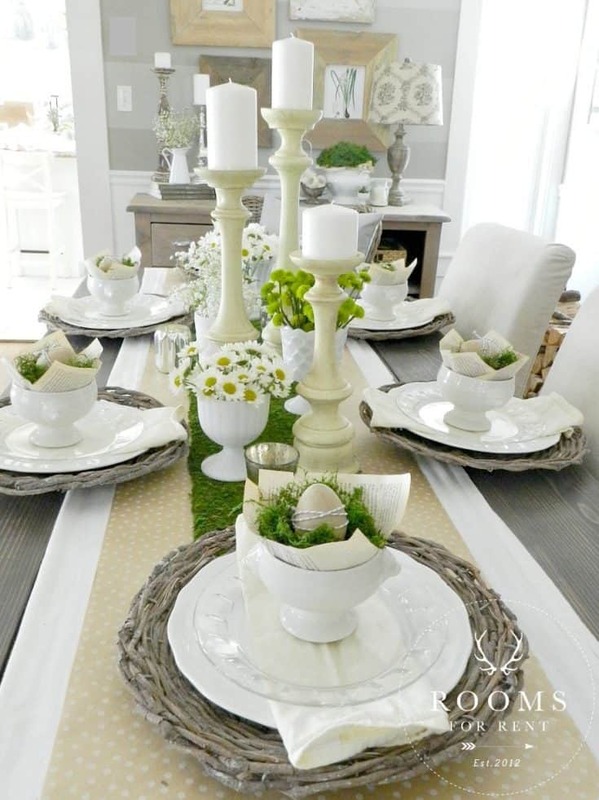 5 of my favorite Easter tablescapes that are both simple and stunning! I am a huge fan of the vintage elements in this tablescape from Jess. She mentioned that the floral china was from her grandmother – how sentimental and beautiful, right?! And you can’t see them in this shot, but she also had a few small silver bunny figurines in with the floral arrangements that I really liked too. I’m a huge fan of Laura’s lavender and gold Easter tablescape. I love how it feels vintage and yet modern at the same time. 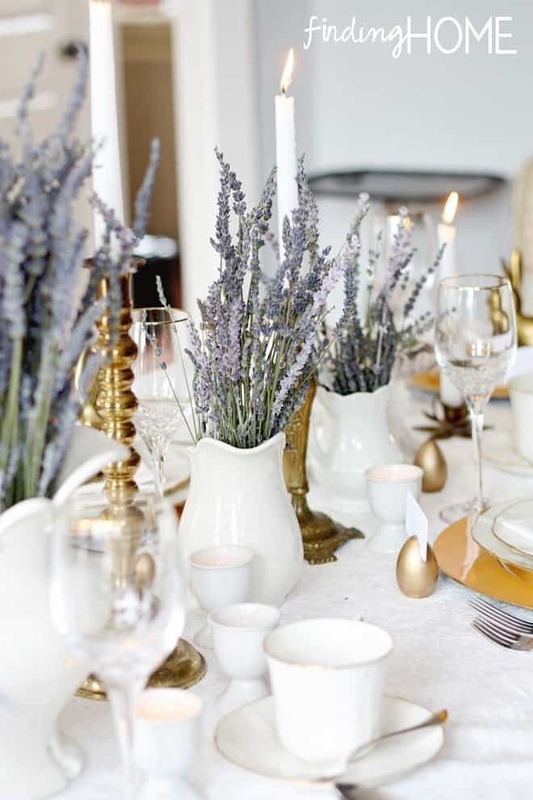 Her choice to use all white dishes and linens really allow the gold and lavender to stand out. And I love those cute little pitchers! I love the way Bre incorporated all sorts of layers and textures into this tablescape. She did a fantastic job of including the Easter “elements” like eggs, flowers and moss but in a very simple and classic way. Those book pages in the place settings are so creative and fun! I’m not going to lie, I’ve been addicted to pastels lately… I shared my addition of blush colored decor in our house around Valentine’s Day, and this month I actually almost bought a blush colored rug! 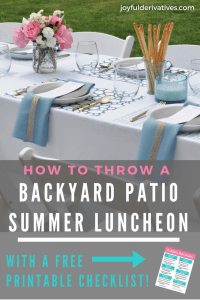 I’ve always been a fan of the pale blues, which is why I’m obsessed with this tablescape by Heather! The mix of the blue glass (actually, those aren’t really blue glass jars, she’s got an awesome trick involving food dye) and the pink flowers have me swooning. Not to mention the marble runner and the sheet music decoupaged eggs! Simply perfect. So, did you get some ideas for your Easter tablescape? Try using some of the elements included in them like I’ve listed below.